The Cebu City Public Library (CCPL) is now almost 100 years old. First opened on April 13, 1919, as one of the branches of the then National Library and Museum which is now the National Library of the Philippines, the CCPL is now the only library in the country that operates 24 hours and 7 days a week. The need for a 24/7 library has been validated by the increase in the number of those who use it and that number is phenomenal. As of the end of 2018, the usage has increased by 286%! CCPL started with lengthening its operating hours from 8:00 a.m. to 12:00 p.m. from its previous operating hours of until 5:00 p.m. only. The response was more than what was expected. 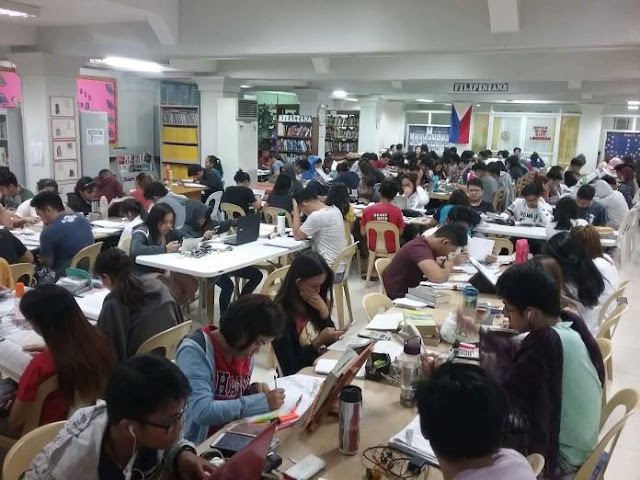 The clamor reached the Cebu City government wherein students appreciated the extended operating hours but asked that it be further operated on a 24-hour basis, 7 days a week. The students were even offering to pay a minimum rate for the use of the city library. The Cebu City local government were surprised that such a service was important for its citizens, particularly the students. The students said that instead of staying at fast-food burger joints that operate 24/7, they would rather have a library where they can study and finish research requirements. In this regard, the Cebu City local government responded by establishing the city library’s operations 24/7 for free. Lighting, air conditioning, free carrier-grade WiFi from Smart, security, and staff were also provided in the service. The CCPL has noted the increase of the library usage and is happy to have their project validated by the citizens. This is something that can be replicated in many local government units as part of its service to its citizens, specifically the youth. Students are given priority and this is a place where the youth can develop and harness its talents in a safe, comfortable environment. And yes, coffee is allowed inside the library.